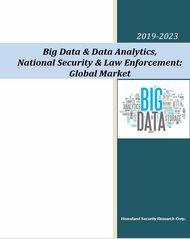 Homeland Security Research Corp. (HSRC) is an international market and technology research firm specializing in the Homeland Security (HLS) & Public Safety (PS) Industry. HSRC’s clients comprise the EU, NATO, U.S. Congress, DHS, U.S. Army, U.S. Navy, DOD, DOT, and US GAO among others; including Counter Terror & PS government agencies in Japan, Korea, Taiwan, Israel, Canada, UK, Germany, Australia, Sweden, Finland, Singapore. "The product provides a thorough and even discussion [...] above and beyond our expectations"
"We are very satisfied with the reports. The research was comprehensive and detailed and we found it truly valuable. We appreciate the professionalism you and your team have demonstrated throughout our mutual work"
"Both the Big Data Analytics and X-Ray Screening Systems reports have been very useful and insightful by providing relevant data in support of our strategic and product plans." 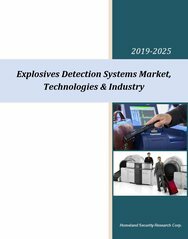 "We are happy with the report as well as with the service of HSRC"
"The Explosives & Weapons Detection Systems Market & Technologies report is well done and very thorough"
"The report is inspiring and comprehensive. 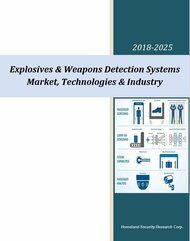 It’s my “Bible” for all Homeland Security technologies & market aspects"
Do you have a question? Interested in a custom-made report? Need a price quote? 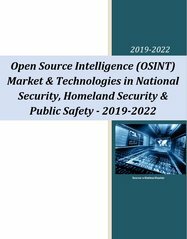 The Global Homeland Security & Public Safety Market 2019-2024: 8-Volume Mega-Report contains a thorough analysis of 16 vertical markets, 24 technology markets, 5 regional markets and 43 national markets, detailing 630 relevant sub-market aspects in total. 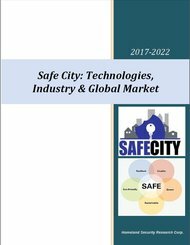 This 2,420-page market report is the utmost comprehensive review of the global homeland security & public safety market available today. HSRC offers customized research services geared towards providing our clients with clear, actionable recommendations designed to empower decision-making and to help exploit emerging opportunities in the Homeland Security & Public Safety industries. 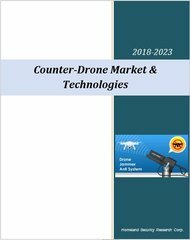 The customized research services provide a deep analysis of specific markets and eco-systems, target geographies, strategic segments and verticals, competitor analysis and technological benchmarks. HSRC’s clients comprise the EU, NATO, U.S. Congress, DHS, U.S. Army, U.S. Navy, DOD, DOT, and U.S. GAO among others; as well as Counter Terror & PS government agencies in Japan, Korea, Taiwan, Israel, Canada, UK, Germany, Australia, Sweden, Finland, Singapore. 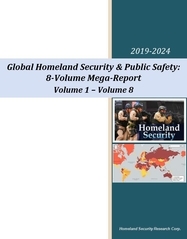 With over 947 private sector clients (73% repeat customers), including major defense and security vendors, and Forbes Global 2000 companies, HSRC earned the reputation as the industry’s Gold Standard for Homeland Security & Public Safety market reports. Get Your Exclusive Offer Today.